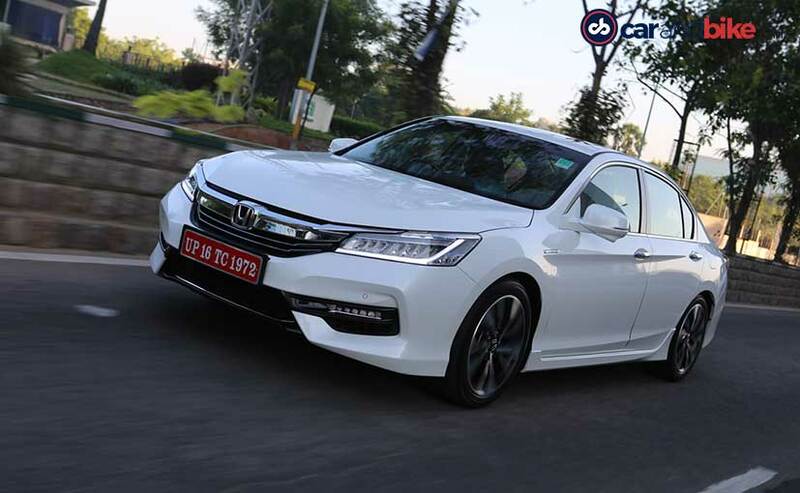 Ahead of the grand premiere, here are five things you need to know about the upcoming new generation Honda Accord. Something Honda confirmed earlier this year, the new generation Honda Accord will be ditching its V6 powerplant completely, in favour of an in-line-four engines. It's an end of an era for the Accord V6 that enjoyed a strong following from the enthusiasts. However, with a larger focus on stringent emissions and better efficiency ratings, the Japanese auto giant has decided to bring an end to the large powertrain for something that's more economical. However, if you think the 2018 Honda Accord's new downsized engines will be boring. You are wrong! While Honda is downsizing the displacement, the engines will be turbocharged and are sure to keep the power quotient intact. The replacement to the former V6 unit will be the new 2-litre turbocharged four-cylinder from the new Civic Type R. However, don't expect the new Accord to be as manic as the Type R, and instead will get a different low inertia turbo. The engine will also get a secondary harmonic balancer to smooth out the operations levels on the four-pot motor to lend a V6-like feel. Expect power output to be under 300 horses on the 2-litre mill. In addition, there will also be a new 1.5-litre turbo petrol engine on offer while churning out between 175 and 190 bhp of power. The motor is already seen on the new Civic and CR-V models in Honda's line-up. For European markets, the Accord is likely to get the 1.6-litre diesel as well, added to the range. A Hybrid version will also go on sale globally featuring Honda's two-motor hybrid technology, built around the 2-litre motor. The petrol hybrid is the one you should expect will make it to India. Honda has also confirmed that the tenth generation Accord will be the first front wheel drive car to get a 10-speed automatic transmission. This unit will come paired to the 2.0-litre turbo four petrol mill, while the CVT will be on offer as well paired to the 1.5-litre version. For the enthusiasts, Honda will continue to use its 6-speed manual transmission on certain trims that will not only make for an engaging drive, but also establish a lower base price for the sedan when it goes on sale. 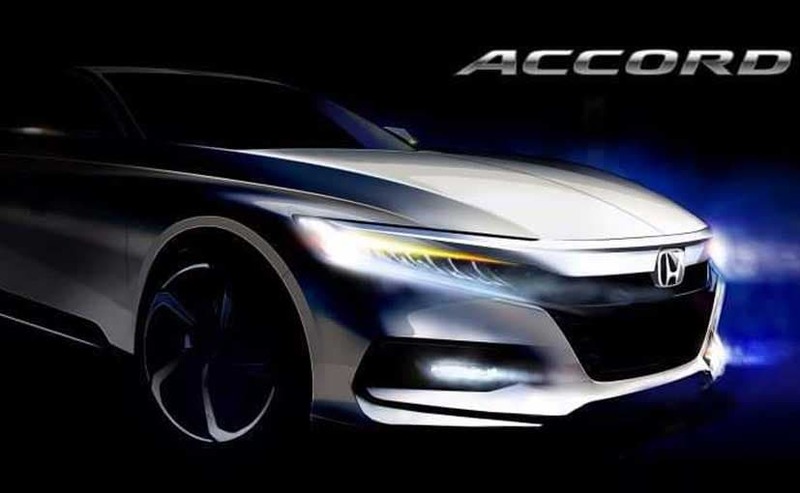 Even though Honda is yet to reveal the new Accord globally, it did reveal a few details on its design. 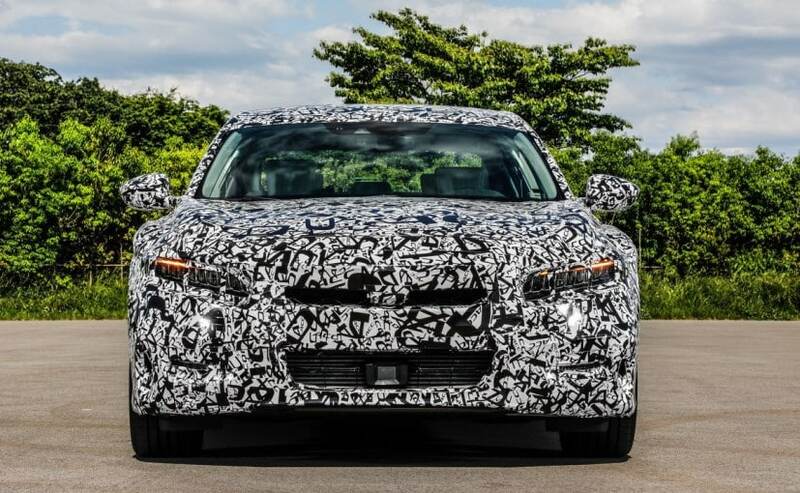 The model will be taking cues from the new generation Civic and is expected to be bolder than its current form. The current Accord continues to take a conservative approach, and it will be interesting to see smarter styling making it on the model. So expect a coupe-like roof-line on the new Accord, without compromising on cabin space. The teaser also reveals a larger grille on the new model, apart from all LED headlamps and tail lights, and a sharper looking rear profile. That said, we do not expect Honda to stray too much into the Civic zone, but it'll still be a better looking model. 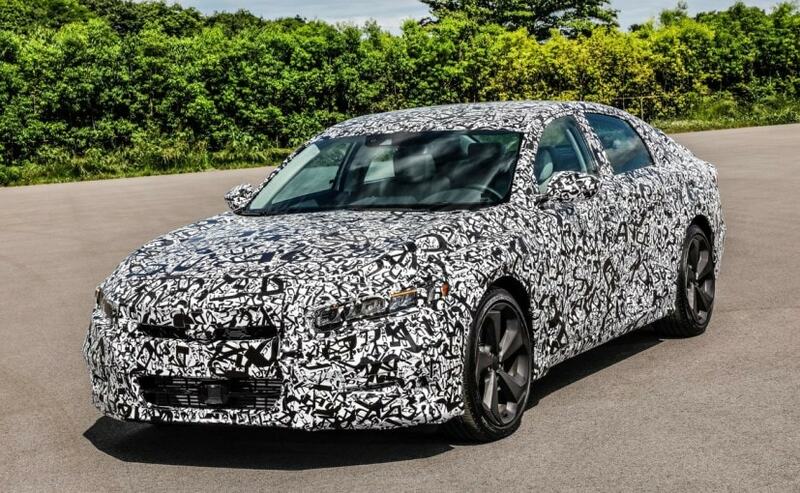 The 2018 Honda Accord will see an overhaul in features with the latest generation. More noticeably, an electronic parking brake is expected to be added to the feature list. A new touchscreen infotainment will also be in order supporting Apple CarPlay and Android Auto, while rumours suggest that Honda might bring back the volume control knob after hearing complaints that customers weren't too happy with the absence of it. There will be new active and passive safety systems in place as well. Some of the standard features are likely to include collision detection technology, wherein the car will automatically brakes on sensing imminent collision along with lane detection technology and much more.